Meet Harry Hart, 6-year National Guard Veteran and owner of Miracle Acres Farm in Bolton, NC. Harry and his son, Sonny Hart have partnered with Honor And Valor Foundation and granted permission for our Veterans to use their farm for deer hunting, dove hunting, duck hunting, turkey hunting, and fishing! 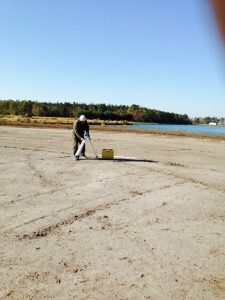 Work was recently completed on the duck empoundment. 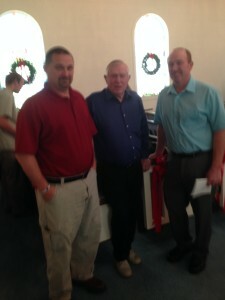 Thank you, Harry and Sonny Hart for supporting our Veterans. 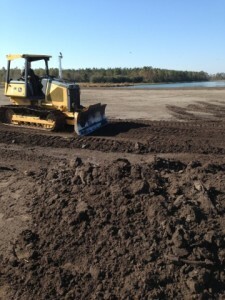 The Duck Empoundment is now complete and ready for planting this Spring for hunts next fall at Miracle Acres Farm. In December, our Vice President Larry Dwyer visited our nation’s capital. While at the World War II Memorial, Larry met Joy Hendrix and her husband, David from Austin, TX. Joy is the daughter of WWII Veteran and Pearl Harbor survivor, Bernie Sietz. 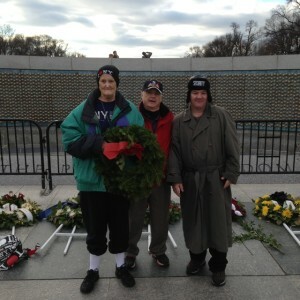 Joy and David were visiting the memorial to lay a wreath in memory of her father. They shared Bernie’s story and allowed us to be photographed with them. 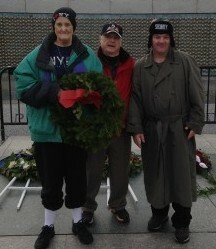 Joy and David Hendrix pose for a photo with Larry Dwyer while visiting the WWII Memorial. 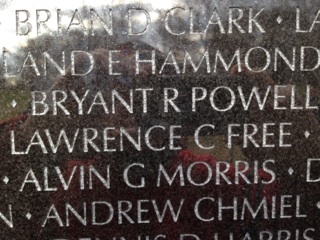 Also, while in Washington, DC, Larry found the Vietnam War memorial with the name of Bryant Powell engraved upon it. 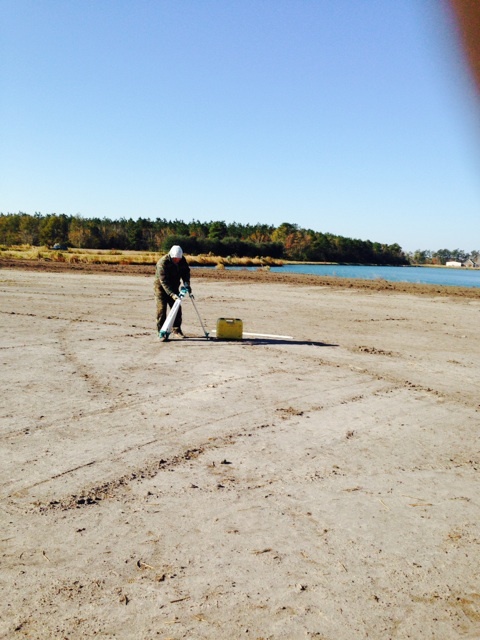 Bryant was a native of Lake Waccamaw, where our organization is headquartered. We salute you, Bryant.